Quartet "Wilder" off of UK's Rough Trade Records makes the kind of electronic dance-rock hits you want to learn the words to, because dancing alone to their music wouldn't suffice. They have it all: looks, hooks, and seamless transitions. 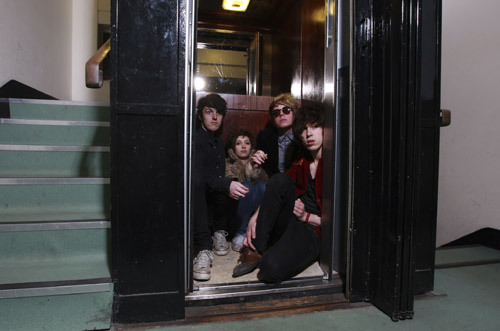 They've been chosen by NME to go on their 2010 "Radar Tour" alongside Chapel Club who we've mentioned a few times and have also toured with The Maccabees as well as Julian Casablancas of Strokes fame. I predict once their full release hits everyone will be talking about them. Check out the track "Girls VS. Boys" as well as their music video for "Sky Full Of Rainbows".